While project managers know that retrofitting buildings with light-emitting diode (LED) lamps can help yield significant energy savings, upgrading to modern commercial lighting is not complete without controls. 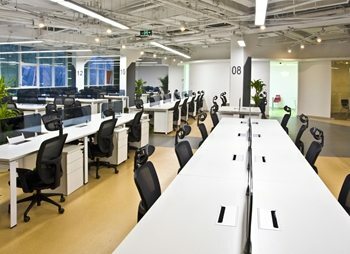 A report by Research firm ON World shows that the global market for lighting controls will grow more than 1,500 percent from 2012 to equal billions of dollars in energy savings as more lighting professionals take advantage of high-efficiency solutions, according to Energy Manager Today. Currently, more than half of professional lighting installers provide a centralized lighting control system to improve lamp usage and energy management room to room. Within these lighting control systems, wireless controls are becoming more popular for ease of both installation and transition from different light sources. When figuring out how to generate the most energy savings, project managers and engineers should look into different wireless control lighting options, daylight harvesting, and occupancy and vacancy sensing to generate these savings. Lighting accounts for $32 billion in commercial building electricity consumption. However, choosing the right light control strategy could reduce building energy usage and costs, according to the Department of Energy (DOE). The DOE said buildings yield the most energy savings when they use multiple lighting control strategies at the same time. This can be done in different ways, such as through local controls or using software-configurable LED drivers. For example, a lighting control could feature a 0–10V control module for dimming and on and off functions using a wireless digital control signal to dim 0–10V LED fixtures. The controls could be divided into separate control zones or even one per fixture to achieve optimal control of the lighting systems. In addition to utilizing local controls for LED lamps, which can include occupancy or vacancy sensing, buildings can also use other automated and control solutions, such as incorporating time schedules. 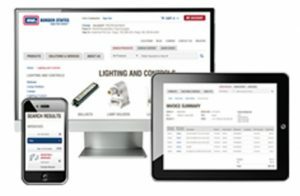 While lighting management systems produce significant energy savings by controlling the usage of the lamps and light fixtures, they also reduce the load on the HVAC system by removing additional unnecessary heat created by fixtures that are on when not needed, which ultimately benefits the bottom line.